Limpet coil reactor vessels are used to control the temperature of the reactants with the help of heating or cooling media circulated through coils surrounding the main vessel. 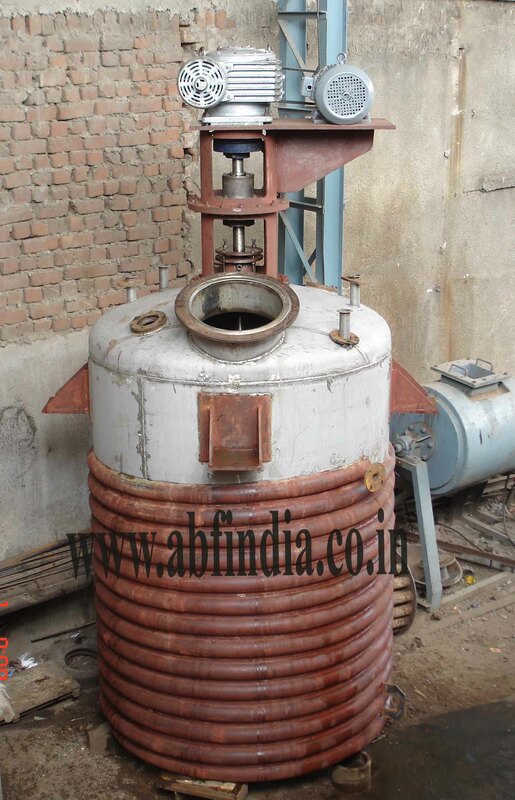 We are considered as a reputed Manufacturer and Supplier of Limpet Coil Reaction Vessel. The Limpet Coil Reaction Vessel manufactured by us is made using the high grade components like Stainless Steel (SS-316, SS-304, Alloy-2205), and Mild Steel. It is highly demanded in Industrial sector for conducting chemical reactions under pressure, temperature, cooling or at atmospheric conditions. The construction of Limpet Coil Reactor is same as that of Jacketed Reactor except instead of Jacket on the Shell of Reactor Limpet Coil is welded on it. LimpetCoil Reaction Vessel consist of a Cylindrical vertical shell with standard torospherical dish on both ends.Limpet Coil is Half round Pipes welded on the outer surface of the shell and also on the bottom dish of the Reactor. Limpet coil is made of either Mild Steel Or Stainless Steel. It is either Double end double start for both heating and cooling through limpet coil or Normal Single coil for either heating or cooling. Limpet Coil Welding is performed by using high grade filler rods depending on MOC of the Limpet Coil to withstand design pressure. On the other end of the shaft Blade is fitted of different types as per the need of the Process viz. Single Anchor Stirrer, Double Anchor Stirrer, Gate type Stirrer, Paddle Stirrer, Flat or Curved Turbine & Propeller types. Baffles are also provided inside the shell as per the requirement. Top Dish of the Reactor Vessel is provided with various Nozzles viz. Manhole, Light Glass, Sight glass, Vapour, Addition, Reflux, Thermowell etc.